Here is a room I highly recommend. Pokerstars is one of the top online poker sites in my database and is one of only a few that I consistently recommend over and over again. I've also taken the liberty of pulling up the details for you below. Have Fun! 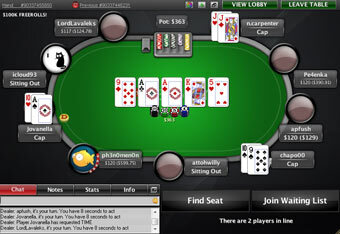 Pokerstars is the World’s largest Online Poker Operator and is trusted by over 49 million players. It is regulated by the Isle of Man which is a British Crown dependency and is widely regarded as one of the safest and most secure places to play online poker. With over 80 billion hands and 450 million tournaments played you will not have a problem finding a game amongst the average 100,000+ players online at any single moment on Pokerstars. Whether you are looking for a Texas Holdem game, or a less played variant like Stud, or Draw you will find a game in minutes. It is also the home of the biggest Poker Tournaments where prize pools of over $1million+ are regularly played for. This includes the famous “Sunday Million” tournament that takes place every Sunday and the World Championship of Online Poker (WCOOP) which is a series of poker tournaments that takes place a few times per year. The software is probably the most advanced online poker software available and the player reward system and promotions are also industry leading so you can be sure that you will be looked after as a player at Pokerstars. Online vs Live Poker – What’s the Difference?